Hello, I hope you are having a good week so far. I’ve been recuperating from a terrible cold and haven’t been able to do much of anything, which is frustrating when your to-do list is a mile long! I’ve been forced to take it easy the last few days, tackling only one small, simple project, with a little help from my kiddos. Every year during the month of November we make a “thankful tree”, writing down one thing per day that we are thankful for on a slip of paper, then hanging that paper on a make-shift tree. I wasn’t sure that my kids would still be interested, since they are teens now, but surprisingly, they were both excited about it. It’s fun to see how much they have grown over the years and how the things they are thankful for have changed. My daughter no longer writes “dolls” on her slips of paper and my son is no longer thankful for “light-sabers”. These little nuggets of thankfulness will be great keepsakes to look back on one day. 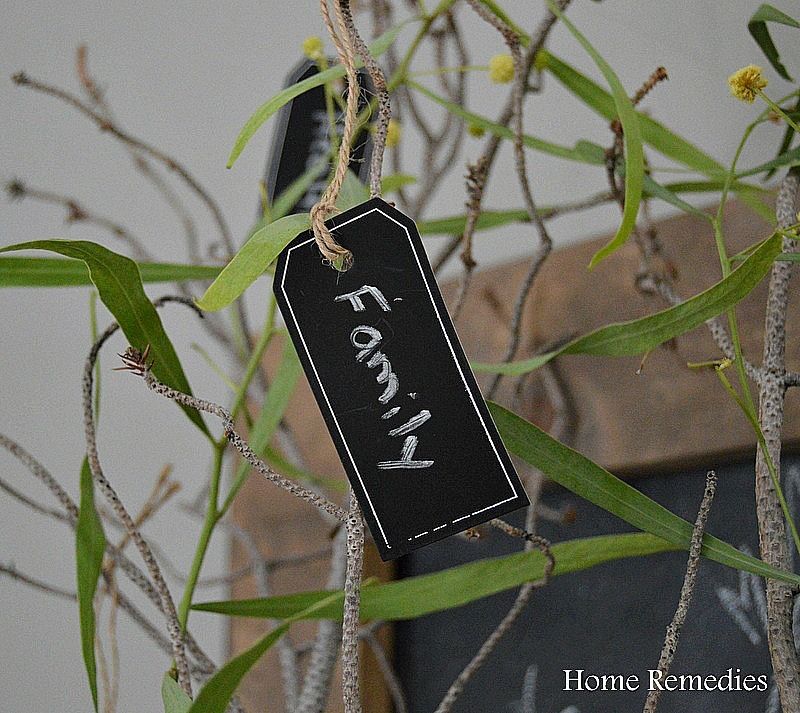 This is the simplest of projects, really all you need is a branch, a vase or other container to place it in, some stones to hold the branch in place, and some slips of paper to write your sentiments on. 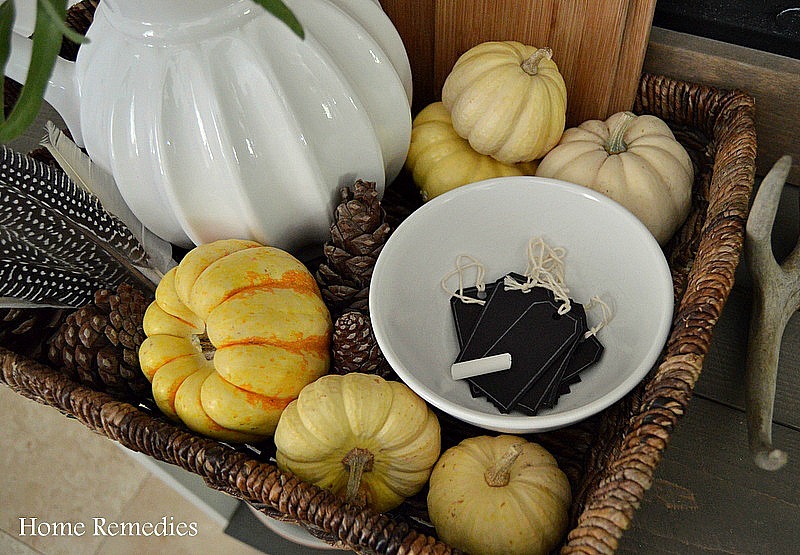 And since this post is all about being thankful, I’m just going to say that I’m so very thankful that colds are only temporary! I’m also thankful that you stopped by to visit and share a slice of your day with me. What are you thankful for? wow, what a beautiful display Amy!!!! PINNING the awesomeness!!! You’re too sweet! Thank you, Christine! i love this idea! so thought provoking and great vignette. thanks for the inspiration. I’m glad you like it, Maryjo! Thank you for stopping by! Wow! This is too cute! I got a better look at your chalkboard too. You’ve got mad skills lady! Thanks for linking up! Thank you, Kyla! I’ll check it out! That is such a good idea! 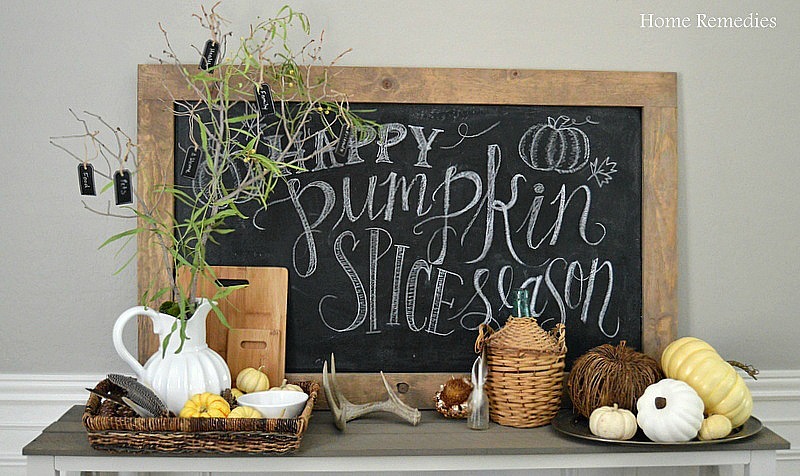 And what pretty fall decor. Thank you, Rebekah! So glad you like it! 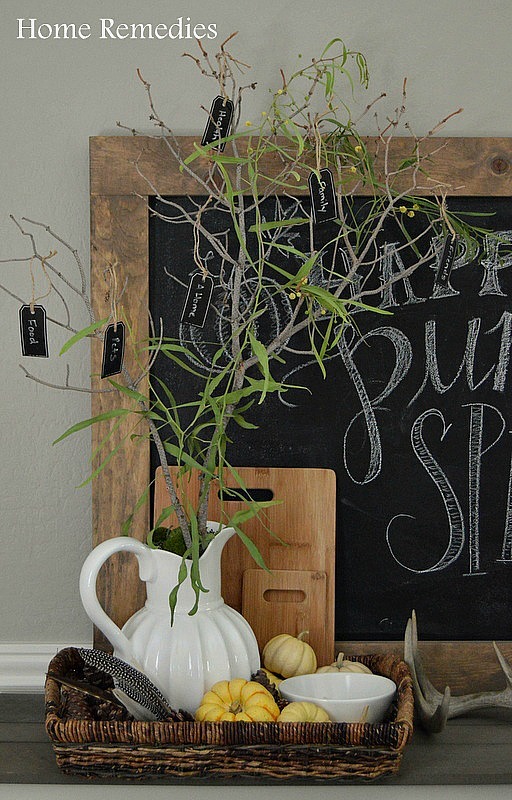 I love the idea of a thankful tree and your tree is just darling! Thank you for sharing it at THT. Have a great weekend! Thank you, Deidre – I agree! It’s easy to forget the true reason for celebrating! So glad you stopped by! This is so beautiful – i love that its something which your whole family can take part in creating. I really love the size and placement of this thankful tree! 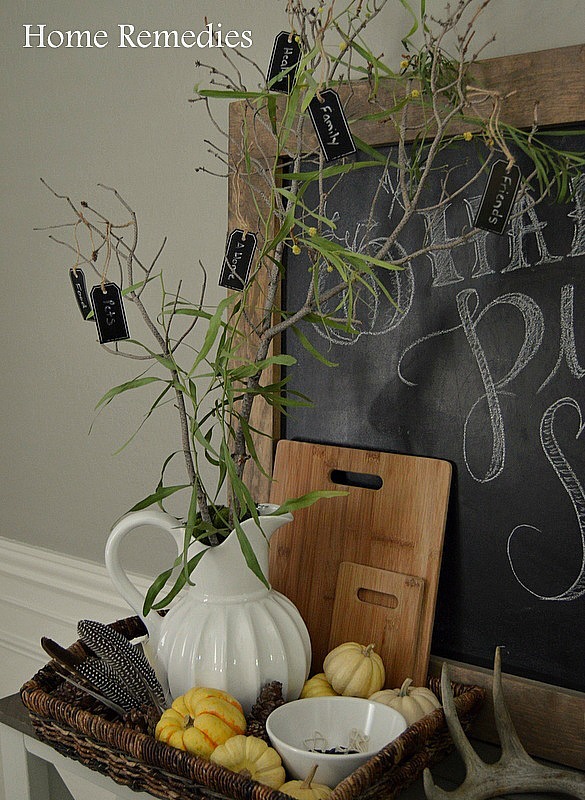 The little chalkboard tags are great, too and how nice to have them in a bowl to where you can write down little items on them throughout the week! Thank you for the sweet comments, Carrie. This has been so fun to work on with the kiddos! Thank you for stopping in!